WASHINGTON -- Senate Intelligence Chair Dianne Feinstein (D-Calif.) said Thursday the National Security Agency program collecting domestic phone records has prevented terrorism. But she and other senators briefed on the program refused to delve into details about how it is used. Feinstein spoke to reporters after the Intelligence Committee held a "highly classified" briefing on the vast NSA program, which Feinstein said had been put together "quickly" after The Guardian's report on its existence. Asked whether the program had thwarted any attacks, Feinstein said, "It has, but that's classified." She added that "there is a report" about how the program has been used, but didn't elaborate. Senior officials from the NSA, the FBI, the Office of the Director of National Intelligence and the Department of Justice were all present to explain the surveillance program to 27 senators. "Members who briefed made comments they were astonished. 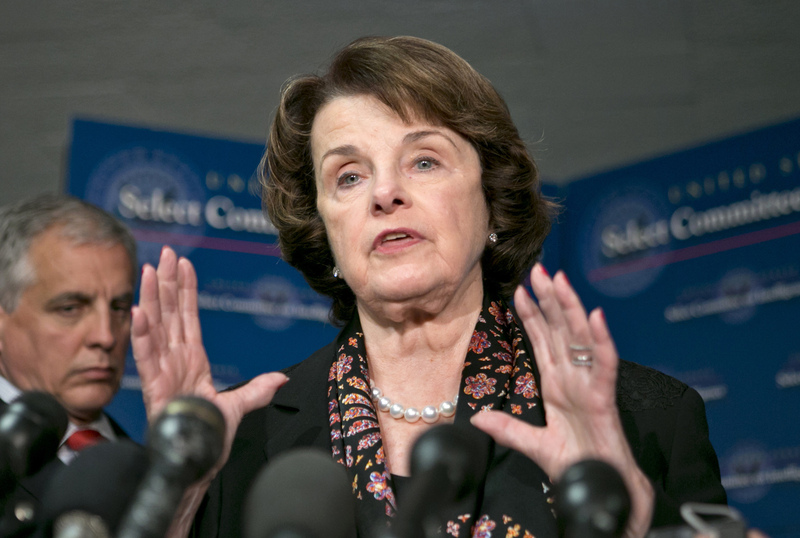 They didn't know this was happening," Feinstein said. Feinstein and other senators, however, refused to go into details about what the NSA does with phone records after it has collected them. NBC News reported Thursday that the program extends to every phone call in the country, not just those made through Verizon. Feinstein said she would not discuss concerns that her fellow senators may have raised during the meeting, because "this took place in a classified briefing, and we don't talk about the substance of it." "I try not to comment on the results of a program or its effectiveness," said Sen. Marco Rubio (R-Fla.), a member of the Intelligence Committee. "I don't want to be the one that ever compromises any ongoing procedures." Rubio added that "programs like this have great utility." "Programs like this are very sensitive exactly for the reasons why people are outraged by what they've heard, because you're trying to balance the privacy expectations that Americans have with the obligation the federal government has to provide for our national security," Rubio said. Rubio would not comment on Sen. Rand Paul's (R-Ky.) statement that the NSA program was an "assault on the Constitution." Both Republicans are are potential 2016 presidential contenders. The secrecy around such massive surveillance programs has for years spurred critics, including Sen. Ron Wyden (D-Ore.) to ask the NSA to release the secret court orders permitting their use. He has suggested that it's impossible to have an honest conversation about surveillance programs like the NSA's phone records collection when Americans are in the dark about details. Speaking after the meeting on Thursday, Wyden seemed frustrated that he wasn't able to discuss the program's specifics. He would not comment on how he thought the NSA's phone records collection could be improved. "That's thoroughly classified," Wyden said.